The new Ultrasonic gas flow meter Q.Sonicplus is a six-path meter, and subject to an ‘enhanced’ Elster-Instromet patent, with more functionality, bringing about new end-user benefits, along with greater processing power that yields a lower measurement uncertainty. 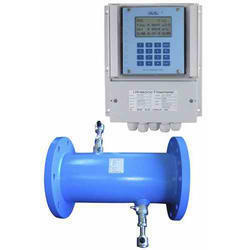 The Ultra Mag is an advanced, leading-edge electromagnetic flow meter. 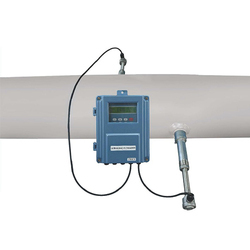 The field-proven flow meter was designed for the specific needs of the industrial and water & wastewater industries. The unit’s unique NSF-approved UltraLiner™ provides superior electrical insulation as well as excellent protection against corrosion and abrasion. Online wall mounted ultrasonic flow meter portable ready to move any where for measuring any single form liquid. without cut pipe the line and disturbing flow. suitable for any of pipe size. Fuji Electrics Duosonics ultrasonic flow meter is the world's first ultrasonic flow meter that automatically switches between Pulse Doppler and Transit Time technologies depending on the fluid conditions in the pipe.